Alice Spackman, having been born in Newbury, Berkshire, England on 20 August 1876, came with her family to America when she was 3 years old. (5 June 1880). 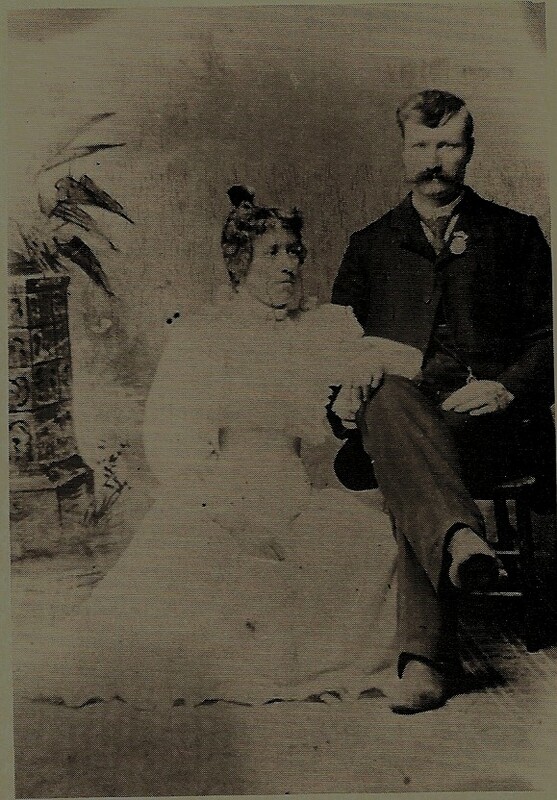 After the Spackman family settled in the Lewiston area, Alice met Orson Leavitt and they were married 15 March 1898. Orson was born to George Leavitt and Nancy Minerva Earl, in Mendon, Cache Co., Utah the 23 February 1871. George was very influential in the Lewiston community, serving as President of the Cub River Irrigation Company, and as the first Justice of the Peace in Lewiston. He was a talented carpenter and was given the charge of building the first meeting houses in Lewiston as well as the old opera house there. Nancy Minerva was a plural wife so after the Manifesto abolishing polygamy was announced in 1890, she moved with her children to Star Valley, Wyoming and farmed there. Orson traveled though with his father, George, at times and learned a great deal from him, becoming a great man in his own right. After their marriage, Alice and Orson made their home in Lewiston for a while and then went to Teton, Idaho where he sheared the sheep with his brothers. Alice cooked for the crew as well as cared for their two small children, Alberta Minerva (born 12 September 1898 in Ogden) and Orson Leon (born 1 September 1899 in Teton). The camp was moved into Auburn, Wyoming for the winter and the cabin they built there, with its dirt floor, kept them very comfortable. Their mascot for the next few years was a large St. Bernard dog who accompanied Orson, Charley, and Henry around the Wyoming towns of Tin Cup Valley, Kemmerer, Afton, and Star Valley, while they raced their prized horses. The dog saved Orson’s life one night when a man tried to shoot him for refusing to sell him some horses. Elva was born 28 January 1901 in Auburn, Wyoming. Soon they returned to Utah where Orson became a carpenter for the Sugar Company, designing a wooden model of the first motors used in the Lewiston Sugar Factory. The children born during this time in Utah were: Elmen, 11 June 1903 in Richmond; Arvilla RoseAnn, 23 June 1906 in Lewiston; Asa, 20 April 1908 in Richmond; Harold, 7 Oct 1910 in Lewiston; George Edmund, 13 Jan 1913 in Smithfield; and Edna Rosina, 16 Jan 1916 in Lewiston. In the next years, they built many churches, business buildings, and homes (one building that the children especially remembered was a huge barn erected for Bishop Hyer). They worked on the Sugar Factory at Corrine, Utah, then traveled by wagon to Burley, Idaho where they purchased a 40 acre farm. Alice and the younger boys farmed while Orson and the older boys helped to build the Rupert Sugar Factory. When that was completed, they returned to Provo Canyon , Utah, and built a canal around a hill to bring enough water for a dam for the Utah Power & Light Company. This dam was made out of wood. Orson was a big man and a strong man. He could lift and hold a steel railroad tie on his knee which required several men to remove. As big men often do, he chose for his life’s companion a wife who was as tiny as he was large. She became very good at loading things into the wagon on very short notice to move on to the next job. She would sit in the wagon if the spot he chose to stop at did not suit her. But he would make camp anyway and she would eventually get out and come to the fire. Their favorite songs were, “I Want To Be A Farmer’s Boy”, “Can I Sleep In Your Barn Tonight, Mister”, and “It’s My Little Four Leaf Shamrock From Galore”. Orson had his harmonica rigged on a wire around his neck and would dance with Alice as he played their songs. Orson received his share of the home estate from his father when George passed away, but he chose to sell it and follow his choice of a vocation, which was carpentry and construction of dams, roads, and railways. They worked on the American Falls Dam and then were instrumental in re-building the town. When the fruit season was on they went as a family to pick enough fruit for their families, friends, and anyone in town who needed some. They shared willingly with everyone. They moved on from one place to another as construction crews were needed, finally coming to Nyssa, Oregon in 1928 to construct a bridge across the Snake River. They remained to build on the road and railroad up to the Owyhee Mountains and constructed the Owyhee Dam. This enabled this farm country to be labeled “The Green Belt” because of its good growing season. Orson also constructed many fine homes in the area. He became stricken with cancer on his face, the cause being too much exposure to the sun’s rays. His family cared for him until his death 4 May 1935. 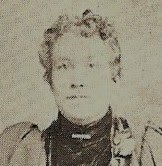 After her husband’s death, Alice then lived near one of the children, but alone for as long as she could remain independent. In her later years she lived with her children, first one and then another, never willing to admit she needed help to get along in life. The family was able to take to her in the hospital her favorite flowers, red roses, so she realized she had their affection and all of them around her. Alice passed away 28 October 1966 and was buried next to her husband in Nyssa, Oregon. At her funeral her beautiful music was played and musically read by her great granddaughters, Nancy and Susan Leavitt, daughters of Orson and Dorothy Leavitt, who loved their Grandma dearly.